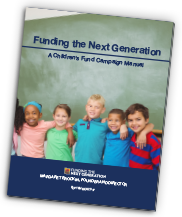 A hands-on practical resource to help you create stable, sustainable funding through a local ballot measure. Whether it takes one year or five, this book contains ways to have success along the way – with everything from a children’s budget to powerful communication to legislation to protect funding. How are you using this Guide? What additional information do you need? What ideas and tips do you want to add to the next edition? Funding the Next Generation offers technical support. Read the Guide and let us know if you would like help. E-mail Margaret Brodkin at Margaret@fundingthenextgeneration.org to arrange a phone consultation about what you need – whether it be ideas for getting started, a speaker for a meeting in your community, strategic advice, coaching your team or leaders, polling, or drafting legislation. We can provide a ten minute phone call – or more intensive support for a several year journey.